OPEC announced on Nov 30, 2016 an agreement to cut its total oil production by 1.2 Million barrels per day to bring it to 32.5 mill b/d, as off Jan 2017. Overnight, Brent oil price spiked by 9% to around US$ 52. The next step is for OPEC to obtain and extra reduction of 600,000 b/d from Non-OPEC producers. It was a difficult childbirth and took a few months to swing OPEC members to agree the production cuts. It was a roller coaster of expectations with November witnessing the highest oil price volatility fluctuating wildly 4% – 6%. Success meant higher prices, but failure meant a collapse to the $ 30’s level. In the end, agreement was reached and prices spiked. Despite this euphoria, important questions remain. 1) Compliance: OPEC members are not known to comply with quotas. It will take one month to begin implementation and another 3-4 months before compliance verification is determined. But the agreement is for only 6 months! Not much time would remain for adjustments. 2) Non-OPEC Players: It is not yet clear if their anticipated 600,000 b/d reduction will materialize. Mexico has declared that it will not participate. Nor will Norway, Indonesia or Kazakhstan, which is planning to increase production by 140,000 b/d in 2017! Russia indicated a 300,000 b/d reduction, but will implement it very slowly. Also, it is not clear how its reduction will be calculated. So, the 600,000 b/d reduction from non-OPEC producers may not be realistic, and OPEC may have to further reduce output. 4) Seasonal Production: Summer production is higher because producers consume more oil locally (for electricity generation). By reducing production in January, the producers are not really reducing the amount they sell and export, but rather part of their seasonal extra production consumed locally. This means that the actual sales and export of oil will be less than the 4.6% reduction in production. This may also partially explain the selecting of the 1.2 Mill b/d target. 5) Timing: The market is still in a glut and inventories are high. The one and two months’ oil futures are substantially lower than the six months’ contracts (Contango). This may translate into a scenario where the present euphoric high prices drop for 1 – 2 months, and only thereafter rise. 6) Shale Oil: An big oil price rise, sharp or gradual, will trigger the return of US shale oil producers. 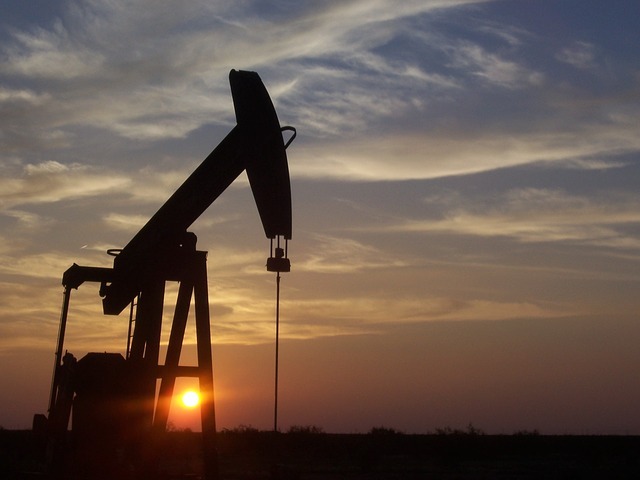 They will restart their rigs at the US$ 55 – 60 – in fact, they have already begun. OPEC must proceed very carefully; produce too much and prices will fall to the $ 40’s or less, produce too little and the “Frackers” will flood the market and return prices to the low $ 40’s – a classic catch 22. Also, technological developments are expected to, theoretically, double Shale oil well productivity every 3.5 years. (So far, rig productivity has increased 20% in 2016). This guarantees that US oil production will continue to grow in the coming years. 7) World Demand: The underlying assumption is that world oil demand will naturally grow and the market will balance itself automatically. This may be the case in the longer term, but in the shorter term, there is a risk that world demand doesn’t grow as fast as expected, in which case, the glut will remain, and prices in 2017 could stagnate in a range between US$ 40 – 50. There are indications that the Chinese economy is not growing as fast as forecast, and the Indian economic growth path may be derailed by the recent demonetization of the Rupee debacle. As for the very long term, the Paris Climate Agreement signed last year targets the complete weaning off hydrocarbon fuels by 2035. Oil producers should not be blinded by the euphoria of OPEC’s success in reaching an accord. It may not succeed in reducing oil production, it may not bring a permanent price increase, it may trigger the return of shale oil in much larger quantities, and it is not likely to generate an ample and sustainable stream of oil revenues. At best, it may deliver a short-term revenue windfall. Hence, it would be wiser for the oil producers, not to wait for winter, as the grasshopper did, but concentrate all efforts now, on economic development and on generating alternative revenue sources. أهداف اتفاقية باريس للمناخ جزئية سنوية، ولكن يفترض أن تتم جميعها في 2050 أي بعد حوالي 34 سنة. عندئذٍ تكون تغيرت أمور كثيرة مثل الطاقة البديلة، السيارات الكهربائية، إلخ. وجهة نظر واقعية جدا … مهما رحنا وجئنا فإن الاعتماد على النفط فقط في اقتصاديات هذه الدول تبقى مجازفه ولا يوجد ضمان كسب وفوز في المستقبل فعليها بالجد لإيجاد البديل بدا بالاهتمام بالطاقة البشرية وتدريبها تدريبا جيدا. Previous Previous post: USA and Pakistan, Best Friends?